During the week beginning Monday, April 3, Learning2gether was monitoring the IATEFL Conference in Glasgow. It was possible to catch many events streamed live, but what is truly remarkable about the event this year is the trove of recordings left behind for the enjoyment of anyone, not just dues-paying members of IATEFL. 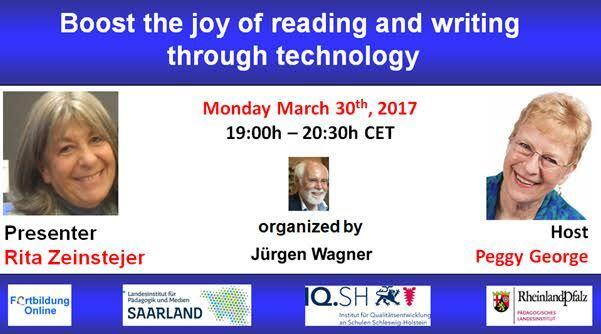 The opportunity for the world to tune in virtually to this year’s IATEFL conference was a development I would hope to see others follow. The norm is, or has been, for professional organizations to operate on the mindset that sharing out what goes on at conferences might dilute the membership base. The argument is that people won’t pay to join if they can get the conference for free. Mindsets more attuned to social business models echo Stephen Downes’s mantra that content wants to be free; money comes from elsewhere in the business model. In this way of thinking, people don’t pay dues to professional organizations not because they don’t support them, but because as teachers they don’t take home salaries that allow them to be members of a dozen such organizations. Often they choose one. If it comes to a choice of one, which would you support, an organization that metes out information to dues-paying members only? Or to one whose goal is to share that information as widely as possible. A cynical view might suggest that you would pay for the one you can’t get for free and take the fruit offered on the vine; but a more socially oriented perspective suggests you might throw your support to the organization more in keeping with your ethics and values. Look at it this way, then: if you were giving a recorded plenary, would you like it to be hidden behind a paywall where only the well-heeled can access it, or mounted on a web site where it will attract thousands of views? Wide dissemination of IATEFL conference video recordings is making rock stars of its presenters. Others come off staid in comparison. 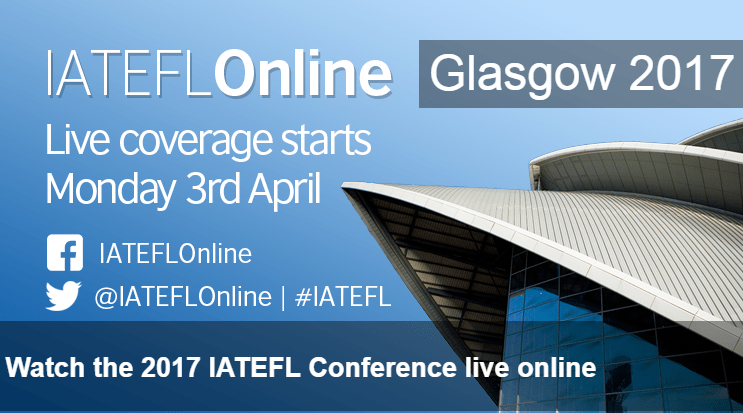 On each day of the conference, we’ll be providing the morning plenary live via Glasgow IATEFL Online. We’ll also be providing live coverage throughout the day where you’ll be able to watch interviews live from the Glasgow IATEFL Online studio – starting Monday 3rd April. Join us at 09.00 (UK time; noon in UAE) each day for all the latest from IATEFL 2017. I thoroughly enjoyed the Glasgow conference online and glad to be able to watch the plenaries live and some sessions, but most were in the wee hours of the night hence really glad to be able to watch the next day or still … Another thing in reply to your question about sharing recordings (or anything for that matter) what better is there than to share and share alike! To me sharing is akin to publishing one’s work or making it as public as possible. And like you mention it is also a question of economics in deciding to attend conferences which for some, including myself, is a financial burden best avoided.